While traveling recently, I visited Churchill Cigars, a warm, friendly neighborhood shop in Virginia Beach. Lucky for me, there was a Punch event underway. In addition to the fine Punch Double Maduro I was given, I received a package of three little cigars and notes put together by General Cigar to help smokers enhance their palates and tobacco knowledge. The Punch rep said I should smoke this one first. The notes describe it as having excellent burning qualities and being lighter in texture, color, and strength than the others. I found it initially to have a light, toasty tobacco taste with almost no finish or aroma. After a few puffs it developed what I think of as the metallic taste I often find in lower end cigars. This tobacco was described as medium in strength and, like ligero, aged at least three years. It had a nice aroma and a longer finish than the volado. The taste was somewhat earthy and it burned very slowly. 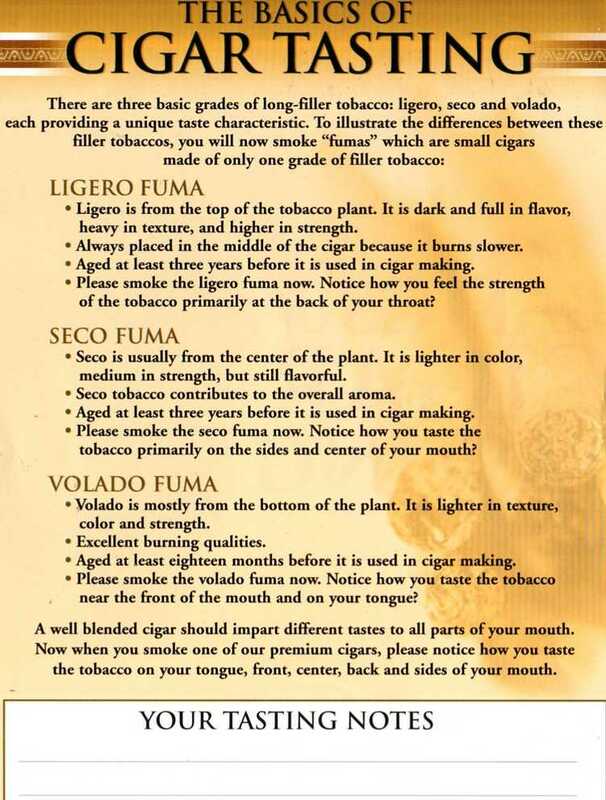 The notes said ligero is always rolled in the middle of the cigar because it burns slowly. My stick barely burned at all. But when it was lit, it produced by far the most smoke of the three. The taste was thick and heavy, with the longest finish of the trio. After puffing on all three, I couldn’t help but marvel at how incredibly difficult it must be to successfully blend tobaccos – and to do it consistently with thousands, even millions, of cigars. The top blenders and rollers truly are artisans. I highly recommend you stop by when one of the Punch Ambassadors visits a shop in your area. And let me know what you think about the three little sticks. Nice work, George. I had a similar experience with the Macanudo (also owned by General Cigar) Ambassador at an event at Georgetown Tobacco several months ago. 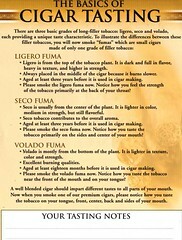 I have yet to try the fumas, though. These events are an excellent way to learn more about tobacco and get free stuff. I've done this too. It really helps improve the palate. Good article.